Turkey plans to provide education for up to 450,000 Syrian children in the academic year 2016-2017, according to the deputy minister of education Wednesday. 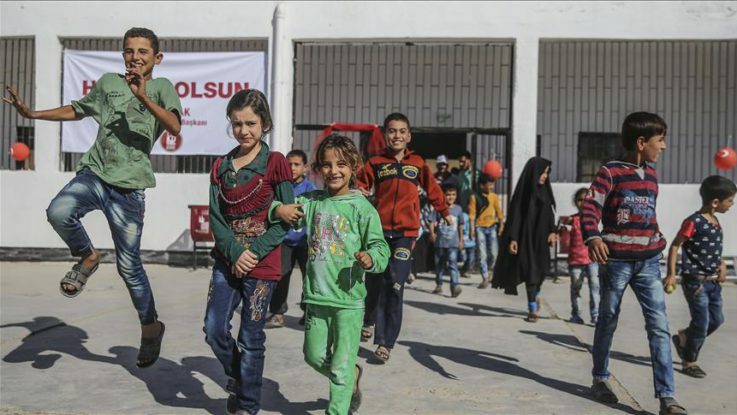 Orhan Erdem told Anadolu Agency that there are currently 814,000 school-age Syrian children in Turkey and that 340,000 received education last year. Erdem said that the European Union had not yet provided the 3 billion Euro aid for the refugees and that Turkey would cover the costs itself. “Turkey has already 18 million students. Plus, there are 8 million others who are getting informal education. It is a big responsibility to add 800,000 refugees to this figure,” he added. Turkey’s EU Minister and Chief Negotiator Omer Celik said Monday that the Turkish government and local NGOs have spent more than $25 billion for nearly three million refugees hosted in the country since 2011.